Up until now I have been addressing exceptional plants that shine on their stage, categorized under the heading of 'Damn Good Plants'. However, every leading actor or actress needs a supporting counterpart to play off and the same can be said for plants. This new category 'Old Faithful's' are what I consider must haves but often don't get the attention they should. They are the background performers to highlight the stars but hold together the whole display even when the stars don't shine as bright. Though you may never see them grown in a colorful pot, trademarked with a fancy name or featured in a full page advertisement in Southern Living, they are as dependable as the snow is white. The first plant to take this honor is the Chindo Viburnum or more scientifically speaking, Viburnum awabuki 'Chindo' or is it Viburnum odoratissimum var awabuki 'Chindo', oh the naming. A native of South Korea, it was introduced into North America in 1985 by the late, great J.C. Raulston for which North Carolina's Arboretum honors him by bearing his name. The clone he carried back was grown at Chollipo Arboretum from a plant they discovered in a school yard on Chindo island. Since then it has gain popularity in our gardens, beginning to spread as more gardeners experiment with pushing its hardiness through zone 7 and potentially lower. It has become one of my favorite backdrop shrubs for the border slowly replacing Skip Laurels that had long since held the throne. 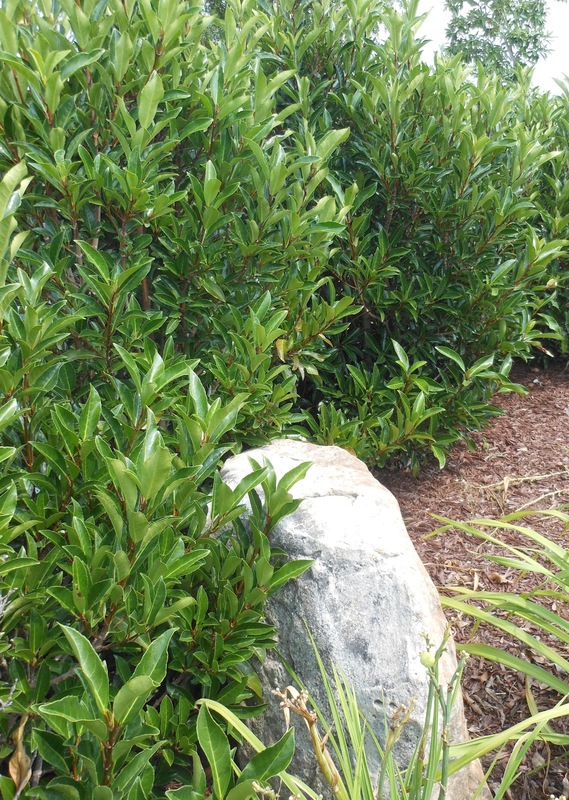 The glossy large leathery leaves resemble a southern Magnolia and look healthy and lush regardless of what the season is. It is considered highly deer tolerance but those in deer country will be skepical to the deer ability to test such claims. If left unchecked it will produce a large shrub some list as 20ft but can easily be trimmed to an appropriate size for a smaller garden. Photos that I have seen of the one at the J.C. Raulston Arboretum show it pruned into a small multi-stemmed tree with a canopy raised, making it quiet attractive as a stand along specimen. Pruning is best done in late winter to promote even growth but can be pruned again by the end of July to ensure the flush of new growth will harden off before the coming winter. I have not observed my own plants it in flower but some stock that came up from Georgia did bear blooms for us. I suspect that it may require more heat to stimulate heavy flowering. 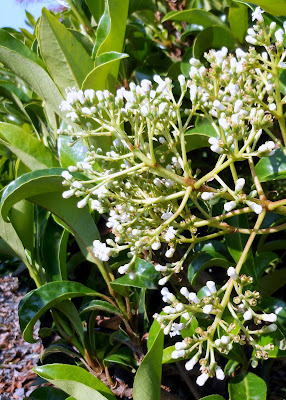 The white clusters of blooms are borne in late spring and carry a pleasing fragrance, followed by a display of red berries that the birds devourer. Though I lack blooms I don't consider it to be a negative, instead favoring the attributes of the foliage to highlight such plants like my Abelia Kaleidoscope ( a past 'Damn Good Plant' nominee ). Like many Viburnums, 'Chindo' is adaptable in many locations but will best perform in moist fertile soils. I've grown them in particle shade to full sun and not seen any measurable difference. Too much shade however will produce an open, airy specimen that lacks the screen characteristic that we often are look for. Our plants at the garden center are planted in exposed winds and have shown no ill effect during the winters. Hopefully my attempt of moving the spotlight onto this work horse of the garden will spark intrigue for you to introduce it into yours. It has been as faithfully for me as an old hound dog to its master with little asked for in return. Help. My Chindo has been a beautiful hedge for eight years and now is losing leaves, starting with one and now four bushes. I took a sample to our extension, but no one had an idea what to do. Should I replace soil around it? I've fertilized it, but that didn't help. Thanks for your ideas. It is strange to think it be because of a disease being that we're in the middle of winter. Where do you live? If I'm going to put my money on one thing, without being able to see the plants, I would go with environmental stress. Cold winds and dry soils and fall droughts will stress an evergreen into dropping leaves during the winter. My Chindo bloomed and bore red berries this last summer. I don't know if it was due to the mild winter or maybe the plants just got big enough. The birds do like the berries though, so they don't last long! Great plant. They readily send up new plants as the low-lying branches ground layer them selves. Extremely easy to propagate! Hello, We are thinking of planting some chindos to screen out the street. How far apart would you plant them? We want them to grow very tall. I would consider planting them close for screening, between 3 to 5 ft apart. If the budget allows, the closer the better but a larger distance will allow them to fill nicely. Where are you in the country? This winter for us has been one of the coldest, and although the tender tips of the foliage look burnt the plants themselves are still strong. This plant is remarkable! My Viburnum awabuki or whatever we are suppose to call " Chindo" has doing just great until this spring. Over the winter brown spots started and now all the leaves have withered. I am in Fairfax Va and the plant is in a sheltered location. Not sure how to trim it back. I love this plant. Any suggestions ? Its been a really bad winter this year for many evergreen plants. Many plants I thought would be OK turned out to be weaker than we thought. The best advise is to leave the plant alone until new growth begins to emerge, then prune back to living tissue. The brown spots isn't a concern and will be replaced with fresh green foliage as it begins to flush. One good thing about Viburnums is that they can take a licking! Glad I waited. The lower half of the plant is starting to show some new growth. Now if only the hydrangeas were doing as well. Our chindos planted 20 years ago have produced "babies", about 3 ft tall, that we want to transplant. How deep are the roots and how large should the hole be dug?